THE GALAXY EXPRESS: Serializing Science Fiction Romance—Hot Or Not? Serializing Science Fiction Romance—Hot Or Not? One aspect I find appealing about science fiction romance’s status as a niche subgenre is that there are opportunities to experiment with medium. I’ve blogged previously about expanding SFR to videogames, manga, and webcomics. But, another intriguing possibility is that of serialized stories. The digital medium readily lends itself to segmenting stories for bite-sized consumption (think: cell phones), or offering readers the episodic adventures of an SFR couple. 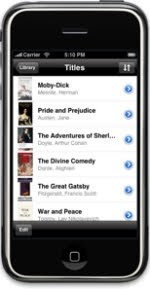 Given that widespread ownership of e-readers is still a few years away, it makes sense to deliver stories that readers can consume on-the-go or without incurring significant eye strain. While it’s possible that a breakout book or series could catapult science fiction romance into a higher level of visibility, I believe that we need a variety of different approaches to increase the subgenre’s appeal. If we wait for one particular story or author to “make it” then I fear we are limiting ourselves by not tapping into all of the available resources. But how strong is the interest for serialized science fiction romance? * Who is the audience for serialized science fiction romance? * Which publishers should authors target and/or pitch ideas for serialized stories? * Are digital-first romance or SF publishers even interested in acquiring them? * Would alternative publishing models/social networking sites like Textnovel, Scribd, Amazon Kindle’s Publishing Program, or Smashwords make it easier—and faster—to place serialized SFR into the hands of readers? * What should the pricing structure be? What are readers willing to pay for individual chapters? * Would a particular kind of story or characters work best? * Would this medium actually be an effective way to target potential readers? Then there is the question of how to adapt the story to the medium. Seems like there would be two basic ways to tell a serialized SFR story. One would be to divide a traditional story into short chapters or scenes and release each segment until it reaches the end. The second would be to create an ongoing series. Each chapter could be a standalone story, with the romance layered in as a subplot that grows in prominence as the series progresses. The series could end in a few short installments or continue for months or years. So the question is this: are we willing to read stories differently nowadays? Can we/do we want to delay our gratification? The irony is that even though we are accustomed to having complete novels/novellas at our disposal, we don’t always read them in one sitting. So what’s really the difference between a novel that’s a complete package vs. one that’s divided into smaller bits? Key question: would tapping into an alternate medium in the form of serialized chapters or stories place science fiction romance on the radar of readers who otherwise wouldn’t have even given it a second glance? There are definitely advantages to serializing SFR. Readers could purchase installments at low prices, such as .50 cents or even less depending on the overall story length. This limits the risk, especially if a reader discovers she doesn’t care for the story. 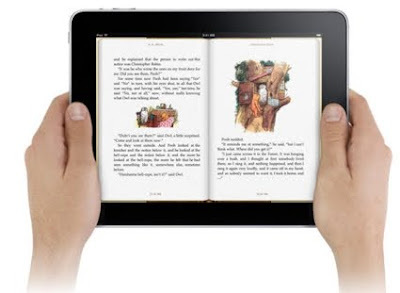 Authors and/or publishers benefit since the complete story or series could be eventually bundled into a single ebook, creating an additional way to monetize the story. And it should go without saying that the first installment can be offered for free as a way to entice readers to give a story a try. But is it premature to be considering serialized science fiction romance? Realistically, should we wait for established authors to take the plunge and have success before debut authors can consider such an investment of time and effort (because I highly doubt any kind of advance will be involved)? I’m ready to hear your thoughts.